Ringkjoebing Landbobank is one of the few banks that were profitable throughout the financial crisis. Today they are still one of the strongest and most profitable banks, which are reflected in the market valuation. The question is, is Ringkjoebing Landbobank worth even more? 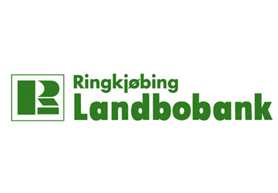 Ringkjoebing Landbobank is unsurprisingly based in Ringkjoebing with strong presence in the western part of Jutland. The bank has specialized in financing wind turbines and medical practices and has a long history, dating back to 1886. Ringkjoebing Landbobank is known for high credit quality and consistency in management. We have looked into their impairments during the financial crisis, which did increase, but far less that most other banks. The loans portfolio is very well diversified with the exception of a very high exposure to wind turbines. However the credit risk associated with wind turbines is very limited as long as governments subsidize them. If government support of wind turbines is decreased it will have a significantly negative impact on Ringkjoebing Landbobank earnings. That said, Ringkjoebing Landbobank looks to be on track to continue the past strong performance. valuation. To apply the equity cash flow model, we need to implement different forecasting assumptionsfor the different value drivers in Ringkjoebing Landbobank. 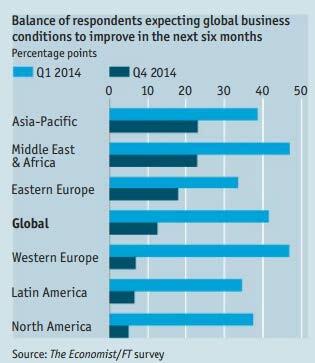 Therefore we expect the interest rate in 2015 and the following years to increase. To be able to discount the expected future cash flows to equity, we need to estimate the cost of equity (COE) for Ringkjoebing Landbobank. This is done by using the guidance by Aswath Damodaran, who assigns a COE of 6,5 % approximately. The stock value is stress tested with +1%/‐1% in COE. The net effect on loans versus deposits is difficult to estimate because of demand versus supply effects in the loan and deposits markets. Here we expect an average effect to occur. All growth in loans and deposits is expected to be equal to the inflation level of 2% from year 2020. The resulting upside is around 50‐130%. The effect of changes in loan/deposit/interest rate is surprisingly small compared to changes in COE. We do find the COE to be rather low, and the indicated upside to be a little optimistic, however there is no doubt, there is a significantly upside, based on the equity cash flow model. While the absolute valuation indicates a significant upside in Ringkjoebing Landbobank, it is still relevant to look at the relative value compared to other listed banks of comparable size. Ringkjoebing Landbobank is the most expensive measured by P/E and P/B but has a great dividend yield, being only second to Groenlandsbanken in that parameter. Overall Ringkjoebing Landbobank is the most expensive bank when compared to the peer but if Ringkjoebing Landbobank can continue their growth, they still look attractive. In conclusion, Ringkjoebing Landbobank is a very well managed bank with great credit quality and most likely a bright future. The stock is not exactly cheap at the current valuation, but quality comes at a price, and we believe there is more upside in Ringkjoebing Landbobank, thus we recommend BUY.